The former Scotland cap has been linked with a move to replace David Moyes at the Stadium of Light but Dons chiefs were understood to be holding out for up to £1.2million in exchange for services. Now it appears those demands may have been met with the Black Cats being granted permission to speak to McInnes about a move south. 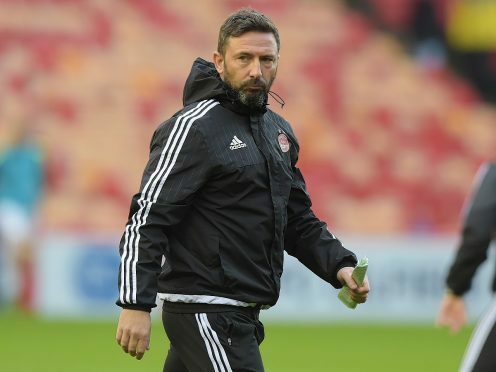 If he does take the opportunity to return to the English Championship, following a prior stint with Bristol City, McInnes could see his salary treble to around £900,000 a year. It comes despite assurances from Aberdeen’s new major shareholder Dave Cormack that McInnes is “extremely happy” at the club and focused on preparing for the season ahead. Cormack said Sunderland would only be granted permission to speak to the 2014 League Cup winning boss if he wanted to leave, adding that he would “move heaven and earth” to keep him at Pittodrie. However, in a statement released this afternoon, the club said: “We can confirmed that early this afternoon Sunderland FC agreed to meet all contractual obligations for both Derek McInnes and Tony Docherty and they have, reluctantly, been granted permission to speak to both of them about the vacant managerial position at Sunderland. With the players due to return for pre-season training on Monday, June 26, ahead of the first qualifying match on July 13, time is of the essence at Pittodrie as the Dons need to reinforce their squad quickly. Ryan Jack, Niall McGinn, Ash Taylor and Peter Pawlett lead the list of players leaving the club, while Celtic have increased their offer for Jonny Hayes to £1.3million plus a one-year loan of Ryan Christie. Ross County manager Jim McIntyre, who was a member of McInnes’ backroom staff at Bristol City, is among those being considered to succeed McInnes. So is St Johnstone manager Tommy Wright, who has impressed with his consistent results on a meagre budget at McDiarmid Park.